'He Kete Kōrero: The Māori Sexuality Project' is an example of a research project from start to finish. Nau mai ki te pae tukutuku o Kaupapa Māori he wāhanga tēnei hai whakawhitiwhiti kōrero, whakaaro hoki mo ngā take katoa e hāngai hito ana ki te Kaupapa Māori. He mea whakarite tēnei pae tukutuku hai āwhina i te whanaketanga o ngā mahi a ngā whānau, hapū, iwi. Welcome to the Kaupapa Maori and Rangahau website. This is a site dedicated to a discussion of issues related to Kaupapa Māori. 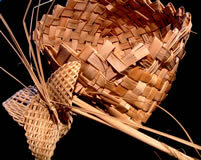 This website has been established to assist in the development of whānau, hapū and iwi. Kaupapa Māori research offers a framework for Māori to engage in 'culturally safe' (Irwin, 1994) research. Kaupapa Māori research explicitly aims for transformative outcomes and encourages Māori to remain as Māori through all phases of the research process. This website aims to assist Māori researchers through the rangahau process. A process that does not have a clear beginning or end, it is not linear or straightforward. Rather rangahau can sometimes be messy, dangerous, consuming and exhausting. This is a 'space' where Māori researchers share their ideas, issue cautionary tales and encourage innovative research practice. It is not a definitive explanation of rangahau but merely a point from which to reflect, gather inspiration or add ideas to your kete.